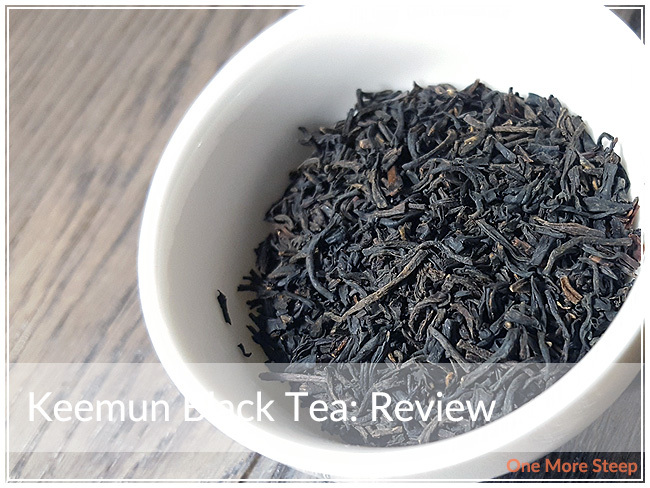 Grand Tea has provided me with Keemun Black Tea for the purposes of providing an honest review. The teas I grew up loving were all black teas, so whenever a tea company asks if I want to try black teas I’m always game. Grand Tea sent me some Keemun Black Tea and I was so curious that I just had to try it. According to Grand Tea, Keemun is a high quality black tea that is loved by the British Royal family. Keemun was exported to Europe as a “high class beverage”. Well, if it’s good enough for the Queen, it’s certainly good enough for me! 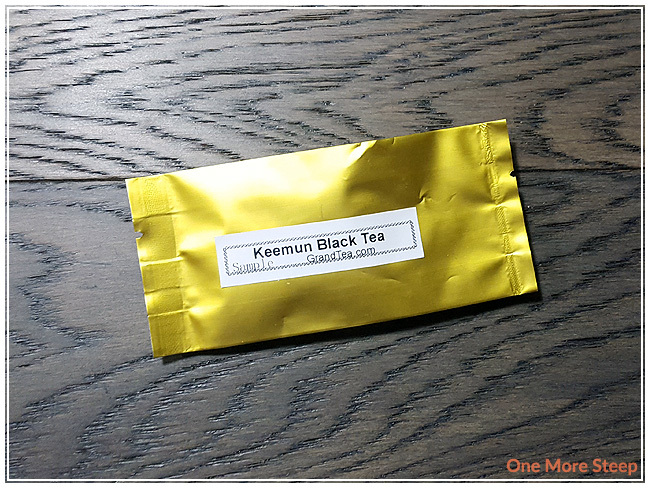 Keemun Black Tea is a straight black tea. The tea leaves themselves are fairly uniform in colour. They’re short, dark, with light twists. There are hints of red in the tea leaves that may be a bit difficult to see in the photo. The dry leaf has a beautiful aroma – it’s a nice mix of flowery and fruity aroma that reminds me of lychee. There were no preparations on the Grand Tea website at the time of writing. Because it’s a black tea, I opted to steep at 100°C (212°F) at 3 minutes. 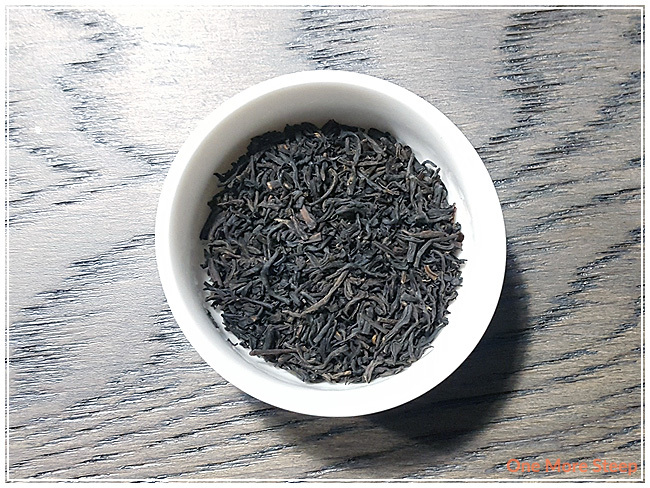 Keemun Black Tea steeps to a deep orange, and it has floral and fruity aromas that waft up. It has a beautiful aroma that’s quite inviting. If you’ve never had a cup of tea that just invites you in, this is the one. 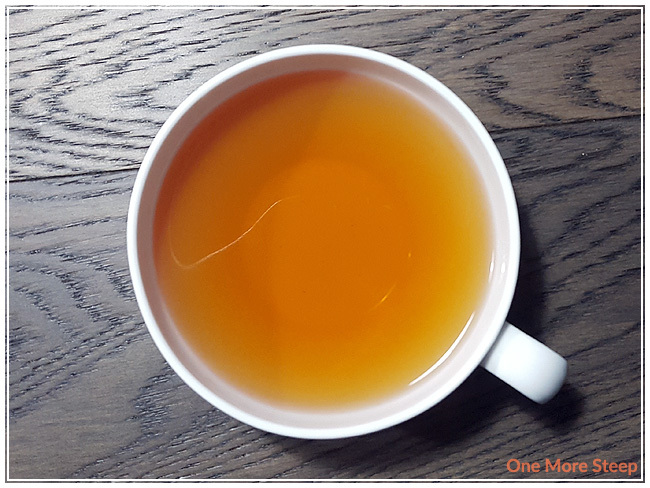 It felt like it took a while for the tea to cool down before I could drink in, but when I sipped at the Keemun, I was greeted with some bold flavours – there was a sweetness, the floral notes, and a touch of refreshing fruitiness. I found it to be well-balanced. This straight black tea has a great mouthfeel to it, it’s very smooth but just a touch of astringency at the tail end of each sip. 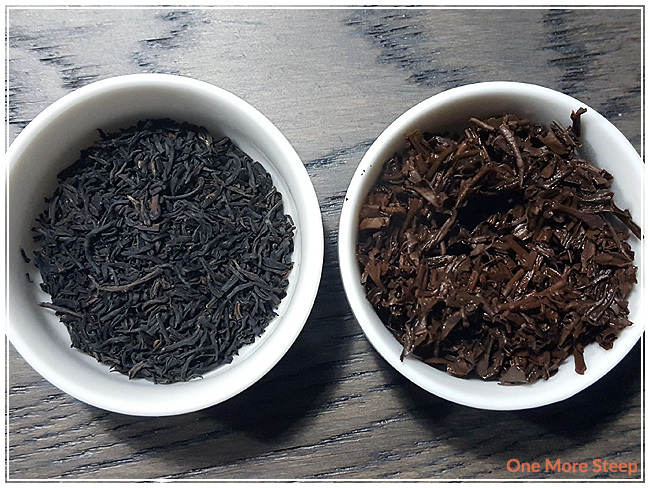 I resteeped Keemun Black Tea three times, adding an additional 30 seconds per subsequent steep. I found that the flavours were not as strong as the initial steep, and got a little bit weaker with each steep. The sweetness got continually weaker. The additional steeps are still drinkable though, and I found them to be enjoyable. I liked Grand Tea’s Keemun Black Tea. The tea is bright and strong, I think that the tea would be a fantastic replacement for a morning cup of coffee – the initial steep is that strong. I really enjoyed it though, and found that the mixture of fruity and floral flavours was delicious. I wish it resteeped a little bit better, and it’d be a nice tea for an afternoon tea option.